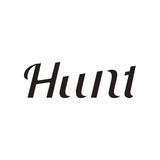 "HUNT" HUNTとは"追求する"という想いを込め、 自分自身の生活を自らでHUNTする。 "追求していく"という想いを込めて命名しております。 毎日の生活でより長く良い物を使い続けることのできる物を提案、 提供するためのLifestyle goodsを販売するOnline shop. Lifestyle goodsというフィールドの中でBuyerが自分勝手にセレクト。 北欧、欧米、アジアをメインにBuyingしひっそりと販売していきます。 Tumblr : https://www.tumblr.com/blog/hunt-tokyo "HUNT" HUNT means "pursuing" I will HUNT my own life by myself. "We have named it with the idea of ""pursuing.""" We suggest things that can be used for longer and better things in everyday life. Online shop selling Lifestyle goods to provide We will continue to buy mainly Northern Europe, Europe, the U.S., and Asia through buying and sell them quietly. International shipping is also supported. Please inquire.